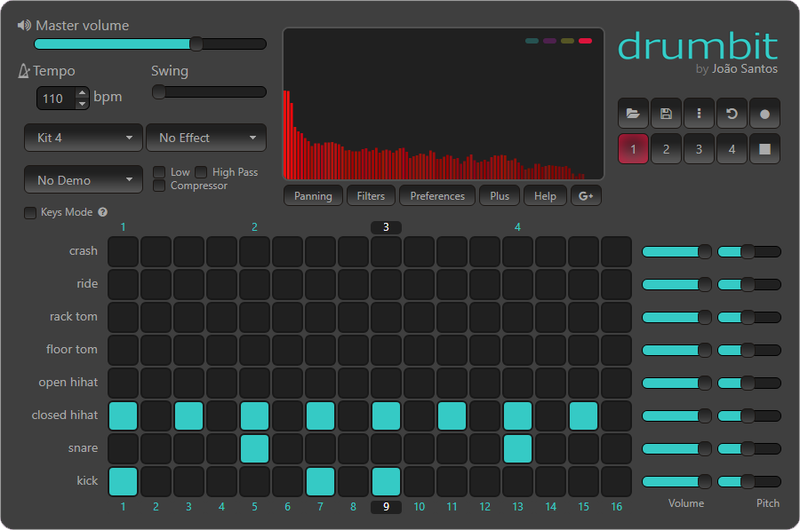 A very easy to use drum machine. You can choose from various drum kits, create, save and edit your drum patterns and record it as audio files. Groove Pizza is a playful tool for creating grooves using math concepts like shapes, angles, and patterns. 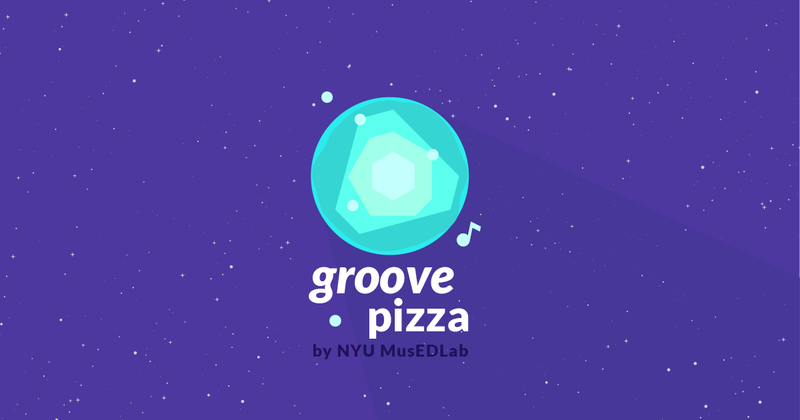 Start working with one of the special pizza presets and add/remove toppings to adjust the groove, or click on the Shape Pizza tab and drag various shapes onto the big circle to play and explore math-inspired grooves. 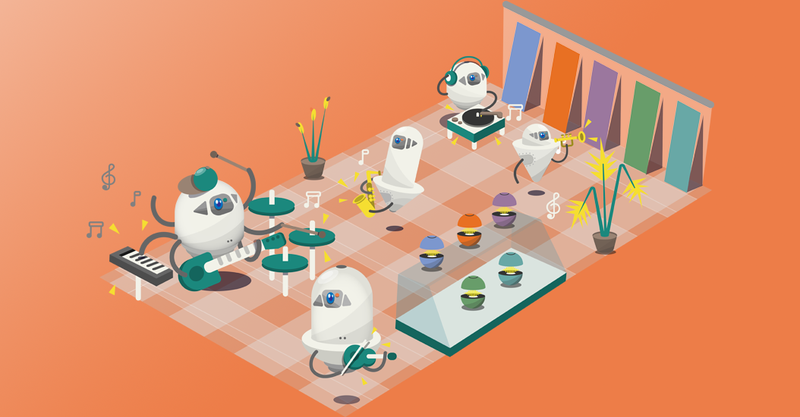 Share your creation on social media, or continue your groove over at the online digital audio workstation at Soundtrap.com.